Be sure to read the NCLEX Candidate Bulletin below before registering to take the NCLEX. Candidates can use this document to find their program code when registering for the exam. The NCLEX Candidate Tutorial is provided to help candidates become familiar with the Pearson VUE exam software. Le tutoriel NCLEX Candidat est fourni pour aider les candidats à se familiariser avec le logiciel d'examen Pearson VUE. To ensure fair delivery of the NCLEX to the Canadian Francophone population, NCSBN has developed an NCLEX translation process. For the purpose of NCLEX item translation from English to Canadian French, NCSBN has developed an NCLEX Translation Lexicon. Additional information on the NCLEX can be found in the frequently asked questions (FAQs). 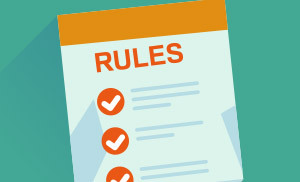 Violations of the rules may result in your examination result being withheld and/or cancelled.